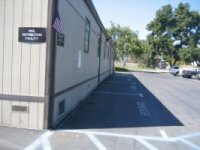 This office is located in Irvine on Jamboree Road, between Birch and Campus Dr.
Take Interstate 405 south. Take exit 7 for Jamboree Road. Turn right at Jamboree Road and continue 1 mile to Campus Drive. Turn left at Campus Drive and take the first driveway to the right into UCI’s North Campus facility. Take the next right turn into Lot 90 and look for our signs and American flags. Our brown building is close to Jamboree Road. Take Interstate 5 north to Interstate 405 north. Take exit 7 for Jamboree Road. Turn left at Jamboree Road and continue 1 mile to Campus Drive. Turn left at Campus Drive and take the first driveway to the right into UCI’s North Campus facility. Take the next right turn into Lot 90 and look for our signs and American flags. Our brown building is close to Jamboree Road. Take the 91 Freeway west to the 55 Freeway south. Take exit 6B to merge onto Interstate 405 south. Take exit 7 for Jamboree Road. Turn right at Jamboree Road and continue 1 mile to Campus Drive. Turn left at Campus Drive and take the first driveway to the right into UCI’s North Campus facility. Take the next right turn into Lot 90 and look for our signs and American flags. Our brown building is close to Jamboree Road. 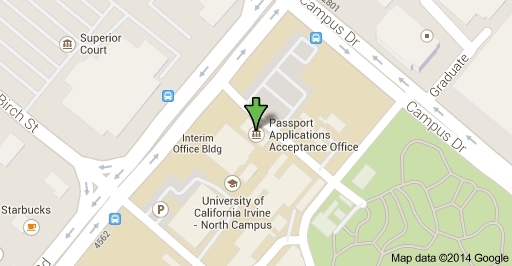 Complimentary parking is available for passport patrons without a UCI parking permit along the east side of the building, marked with pavement stenciling and signage. Additional parking is available in Lot 90 for those with a valid UCI parking permit or who purchase a permit at the dispenser.